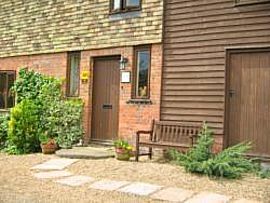 Spacious conversion of a traditional C17th oasthouse into a comfortable home with all modern facilities. 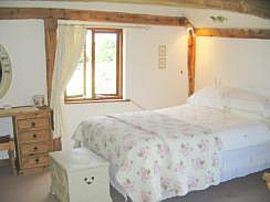 Surrounded by 200 acres of orchards and pastures with lovely walks. Both bedrooms fully ensuite. Wide choice of freshly prepared breakfasts included. 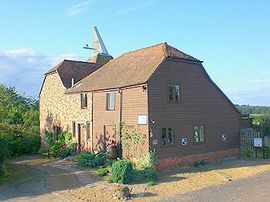 Close the the Kent and Sussex border and convenient for many national trust properties including Sissinghurst Castle Gardens. 1 mile from the historic market town of Cranbrook which boasts a wealth of small independant shops and some very nice places to eat. 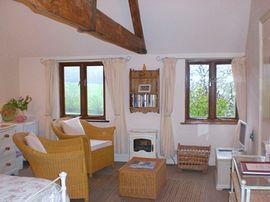 Lovely rural position surrounded by orchards and pastures. Exceptionally spacious and thoughtfully equipped rooms. Pet Facilities: Pets are not allowed. There are resident farm dogs. Special Diets Provision: Special diets are catered for. Most diets catered for with prior notice. Veggies no problem at any time! 1 mile south of Cranbrook town. Farm lane indicated on right. 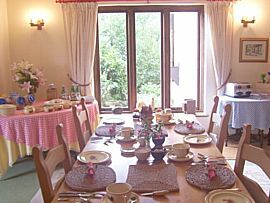 £75.00 - £90.00 per room (two people) including full breakfast. Minimum reservation of 2 nights during summer months and weekends may apply.